The great Jamyang Khyentse Wangpo Kunga Tanpei Gyeltshen (1820-1892), through his foresight, built a monastery in the Monshoed area of Kham province, in Tibet, and named it ‘Rigsum Trul Pai Tsugla Khang Shedrup Dargey Ling’. The history behind the site choice is traced to another great master. 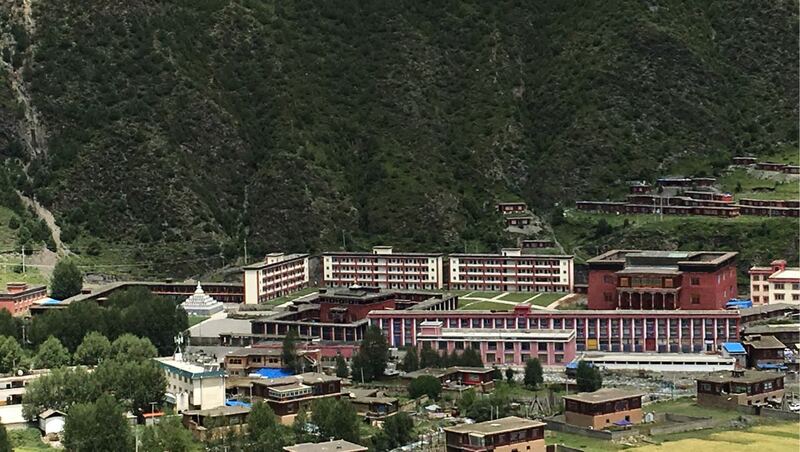 In accordance with the instructions of Jamyang KhyentseWangpo, Jamgon Kongtrul Rinpoche Lodoe Thaye(1813-1899) embarked on a mission to look for a spot to build the monastery and decided the site at Khamje was the best. The geography of the place resembled a pig, a rooster and a snake—symbols for ignorance, attachment and anger. When Kongtrul first arrived at the site, his entourage saw three monkeys coming and dancing. The three monkeys, which were never seen before or after, were thought to be emanations of Manjushri, Vajrapani and Avaloketshesvara. The great Jamyang Khyentse Wangpo, based on these observations, built statues of the three Bodhisatvas from casting mold. Later the statues, which were housed in the monastery, gave its name:‘Emanation of Three Families Monastery; Site of Propagation of Teachings and Realizations’. Khyentse Wangpo appointed a caretaker for the newly built monastery and provided all necessities. Every year, just before the summer retreat, Dzongsar monastery organized a seven-day intense Three Families Sadhana practice, based on a sand Mandala, and it concluded with a Four Activities Fire Puja and mass empowerments. 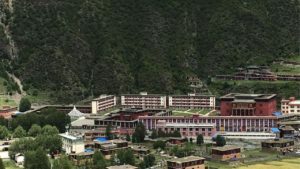 Until the Shedra was instituted in a newly built monastery, a group of nearby families sponsored the annual practice of ‘Eight Pairs of Fasting’, inviting eight monks from Dzongsar monastery and as many local devotees will join the practice.